Missing our old site. Here's a link to the old site. 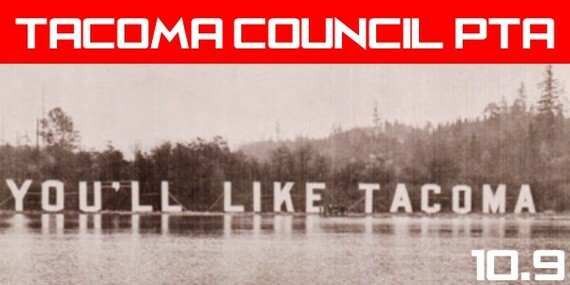 MISSION: Tacoma Council PTA is governed by a board of directors and the voting representatives its member units. Washington State PTA has chartered Tacoma PTA Council to support, coordinate, facilitate and serve the needs of the independently -chartered local PTA and PTSA units within the area of the Tacoma School District. To increase contact with local units and increase the awareness of what Council can do for their unit. To better communicate PTA issues, activities and accomplishments to members and the community at large. Look for signs at the bottom left of the large staircase and enter there. This is the new home of our 100+ years of TCPTA Archives. 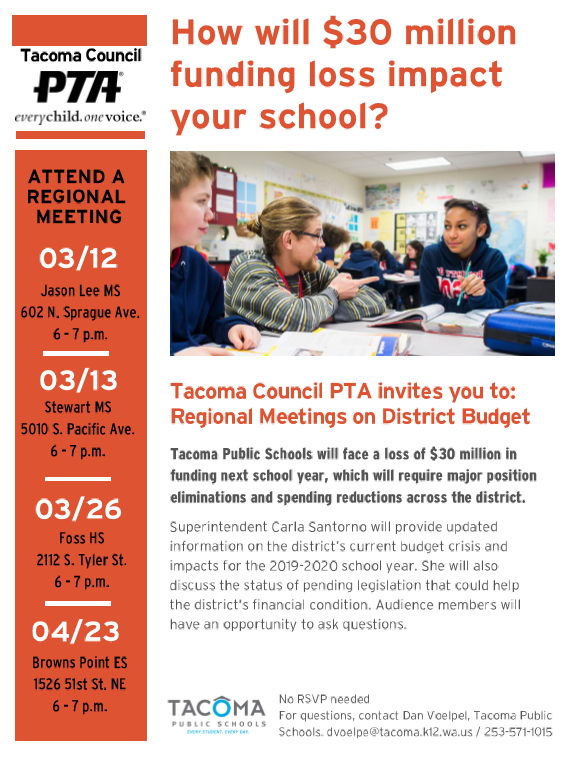 We ask each Tacoma Local PTA to send at least 1 representative to each All-City PTA Meeting. Anyone interested may attend. A Quorum is needed to Elect Officers for 2019-2020. Food/Snacks provided. Free Childcare. REFLECTIONS AWARDS School Board Meeting Thursday January 10, 2019 6:00 P.M.
25 Awardees: Arrive by 5:45 and take a seat in the Auditorium. We’ll be called to come forward at the beginning of the meeting; we’ll line up together; hand out awards; shake hands with Superintendent & School Board; take a group photo; then be released from the meeting and go down the hall to the 4th floor boardroom for cookies. We won’t have Artwork on display, but will have entries featured in a Handout. Parents can feel free to sit up front in the Auditorium to take photos.